Why I Love the Daughters Reason #25: "Old Habits Die Hard"
Once upon a time, when I first started discerning, I knew that if I were to join a religious community, I wanted it to be one without a habit. And I certainly did not want a veil. But, as my faith and discernment journey evolved, so did my thoughts about the habit. 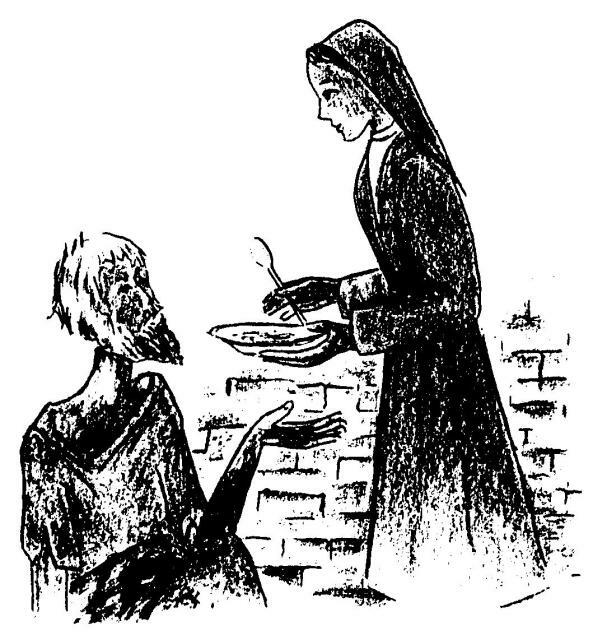 As I spent more time with the Daughters of Mary Help of Christians, the Daughters of Charity and the other Salesian community I joined (all of which have habits; the latter without a veil), I began to have conflicting feelings about the habit. Maybe I did actually want to wear one after all....but what did that mean for me and my discernment? First of all, the Daughters of Charity were never supposed to have a habit, as they are not nuns (more about that later). They simply dressed as the poor of the day. Eventually, the habit grew to include the cornette, as that was popular among the French poor of the day. More than 300 years later, during Vatican II, the Sisters did not get rid of the habit they had grown into. Rather, it was simply changed. The cornette was gone and changed to a blue coiffe (veil, but shorter) and a box-like bandeau. The clothing changed to a lighter fabric as well. Eventually, just a few years after implementing the box-like coiffe in the late 1960's, it changed to a simple coiffe, just a short veil covering the head and hair. Decades later, in many countries including the US, it was decided one specific dress wasn't needed - and Sisters could wear a blouse and skirt, with the required uniform colors being navy, white and light blue while still wearing the blue coiffe (veil). In 1997, just 14 years ago, the United States deemed the blue coiffe optional. Today, about half I know wear it, the other half don't. The uniform colors of clothing - navy, white, light blue - remain the same. I find the changes in the habit from Vatican II on very gradual, in a very healthy pace. Personally, I love that the Daughters have a habit and I love that I have the option of wearing a coiffe or not (both reason #25). I still am undecided if, as a Sister, I want to wear the coiffe or not. I understand arguments for it, but I also understand the arguments against it. So the wearing of the coiffe is something I'll have to pray over once the time gets nearer. However, I consider wearing the 'uniform' colors - navy/light blue/white - as a habit. I believe simply wearing the same colors unify the Sisters. That, with the wearing of the St. Vincent necklace, shows that they are Daughters of Charity. And people recognize them by their colors. 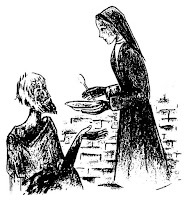 I have seen criticisms of the Daughters of Charity on YouTube and Facebook - "ha! these don't look like religious to me" or other comments attacking the Sisters, simply based on what they wear (or don't wear). It always confuses me when I see comments like that because I want to respond "dude, we DO wear a habit. calm the heck down" and "seriously? you're judging somebody by the clothes they wear?!" If you're for one camp (for habits) or another (against habits), please have a healthy viewpoint about it - just as you shouldn't judge a book by its cover, don't judge a Sister by their habit or lack thereof. Either way, you'd be missing out on some amazing women.